KANSAS CITY, Mo. — A proposal to add height restrictions to more buildings on The Country Club Plaza passed a city council committee on Wednesday. This would be the third phase of what is known as the bowl concept with shorter buildings on the inside and taller on the outskirts. There's 12 parcels of land that would be impacted, including the area generally located on the south and north sides of W. 47th Street (extending northerly to the north side of W. 46th Terrace), between Madison Avenue on the west and J.C. Nichols Parkway. The city council meeting was packed with both sides arguing why this plan restores the ambiance of the plaza or why it hurts development. "There's no place in this city that better represents that sense of place than the Country Club Plaza and that's why there's so much passion around this ordinance and the protection of the plaza," said Jim Wanser, President of Historic Kansas City. "A lot of people come to the Plaza because it is unique, it is ascetically pleasing it is interesting it is architecturally ascetically very compelling," said Robert Martin-President Plaza/Westport Neighborhood Association. However, an attorney representing a few of the property owners said it would stifle development and business growth. "Doesn't seem fair to me, everybody talks about fairness but I don't think this plan or this picture represents fairness," said Patricia Jensen with Roschitz law firm. Jensen said the property owners want due process and don't want the council to rush into a decision because she said the plans on which buildings are impacted keep changing. "This is a hodgepodge, I'm not really sure and there's really been no real explanation as to why certain properties were chosen and others weren't," said Jensen. 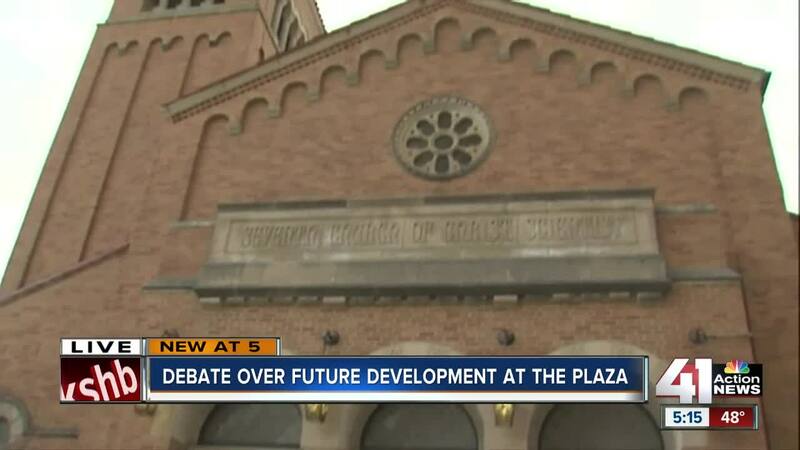 There's at least six property owners Jensen said filed a petition to stop this next phase of the Plaza bowl ordinance. The full city council will take this up in the coming weeks.